Talk about an appropriate song title; the latest single from Razah, the ex-Def Jam up-and-comer last heard on the Cops-inspired Bad Girls could have been named after the response it&apos;ll invariably evoke from listeners: “Hey, I Remember that beat!” Say what you will about J.R. Rotem&apos;s decision to flip the same Annie Lennox sample (from No More &apos;I Love You&apos;s) as Papa Justifi did on Nicki Minaj&apos;s Your Love, though; the guy knows how to craft a pop-appealing record, and Razah knows how to sing on one. Over J.R.&apos;s synth-fortified arrangement, the Jamaican-born, Brooklyn-bred singer croons a tale of romance gone sour that, though predictable, is delivered with enough melodically soulful panache to make it worth mainstream listeners&apos; while. I think you&apos;re seeing the pattern here. The big question, of course, is whether this joint&apos;s execution is fresh enough to offset what some may perceive as a lack of originality – your thoughts, Booth readers? 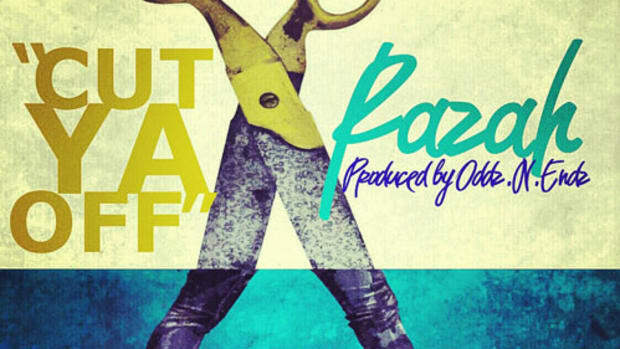 If you feel like I Remember stands on its own two feet, you&apos;ll be able to hear plenty more on Razah&apos;s Heart of a Champion EP, set to drop August 31.